He departed the earth. To the earth he returned. How strange is this? 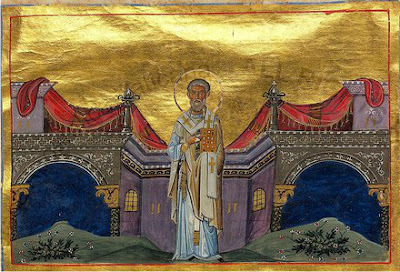 Our Venerable Father Floros lived during the reigns of Emperors Justin II and Maurice (565-602). His father was also named Floros and his mother was Euphemia. Having become experienced in every form of learning, both externally of the Greeks and internally of the sacred and divine Scriptures, he at first became the secretary of the emperor. After this he was elevated to the office of patrician. He then took a wife and became the father of children. * The Menologion of Basil II says that he continues to work miracles after his repose from his tomb.